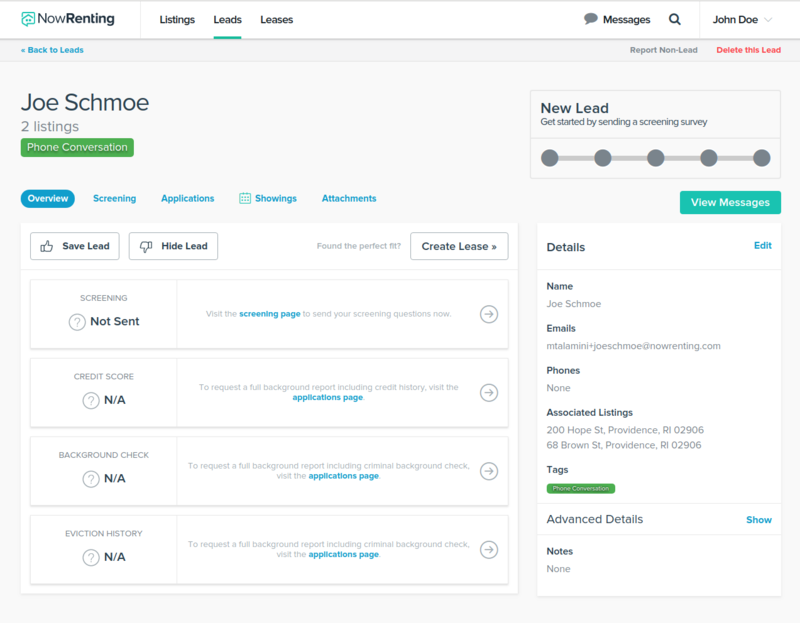 The Lead Details page gives you a clean, easy-to-use overview of all the information available about a Lead. To access the Details page for a particular lead, first go to the Leads page by clicking the link in the top navigation bar. Then, find the Lead you’re looking for using the filtering options and click the Details link to the right of their name. Details: The lower right corner shows the Lead’s contact information. Click the Show link next to Advanced Details for even more options! 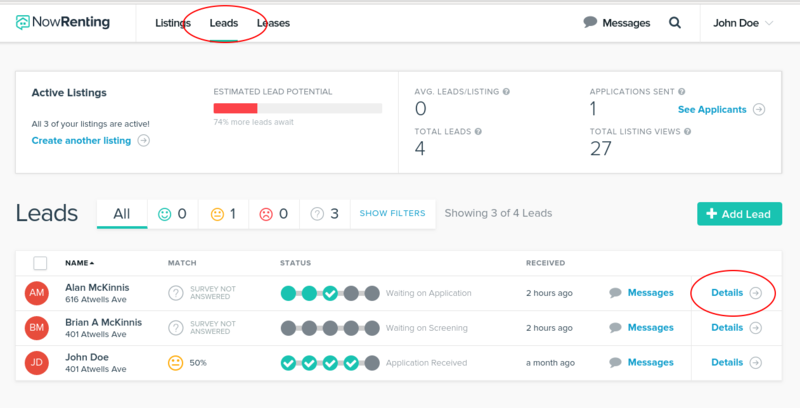 Overview, Screening, Applications, Showings and Attachments: The pills in the upper left corner allow you to drill down into more detailed information about the Lead’s responses to your screening questions, any applications they’ve submitted, showings they’re scheduled for and any files you may have stored as an attachment. Background Checks and Screening Summary: The lower left corner contains summaries of the Lead’s responses to your screening questions, as well as summaries of any background checks available for them. Click the individual item for more detailed information.